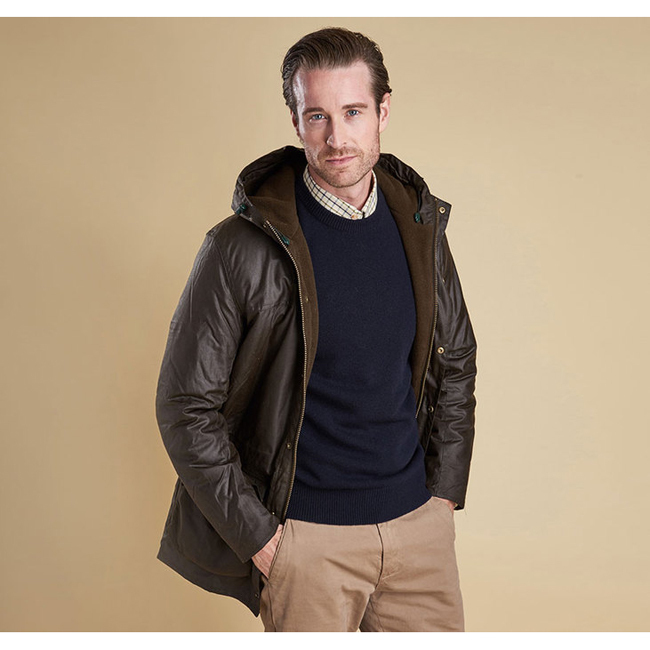 This men's wax jacket is crafted with a mediumweight waxed cotton outer that promises reliable functionality with a traditional finish. It stays true to the styling of the Classic Durham with a caped shoulder detail and a large fixed hood, which is also lined with fleece for added warmth. Its relaxed shape teams with an adjustable waist drawcord and studded cuffs to accommodate extra layers, while the combination of a two-way zip and studded storm fly protects against drafts and driving rain. 82.7 - 86.3cm's | 32" - 34"
Colour is a convincing solid black (we just sent back another that was wishy washy), Fit as expected and shape hangs well, not too boxy. very good price, not the lowest but this looks like something worth twice the price not like a cheap market knock-off. Prime,so delivery next day. all good.